Since its inception in 1989, Chartered Housing has made its presence felt in the real estate industry by continually producing buildings that are high in quality, and service that is high in values. Having made an instant impression that is to last for decades to come, Chartered Housing constructed Chartered Resorts, a one of its kind project that set a trend in the real estate sector. This was a move which changed the prevalent trend of matchbox flats in the city. This welcome change ignited a spark, after which every project undertaken was claimed to be better than the one preceding it. And as a result of more than 25 years of building homes that delight, the name Chartered instantly strikes one as the house for homes. Apart from promoting residential apartments in Bangalore since the time it was founded, Chartered also develops commercial spaces, interiors and offers premium construction services in Bangalore. While special emphasis is on providing unmatched quality, Chartered pursues uncompromising ethical values and transparency which are paramount to all its operations. 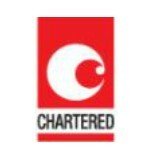 At Chartered, quality, values and transparency are rolled in a capsule - ensuring happy customers and happy employees.